Quarterly statistics released last month by the Registers of Scotland (ROS), covering the period from July through September 2018, revealed that the average price of a residential property in Scotland was £181, 572, a 1.8% increase compared with the same period in the previous year. The volume of residential sales was up 0.6% compared to the same period in 2017, and the total value of residential sales was up 2.4%. 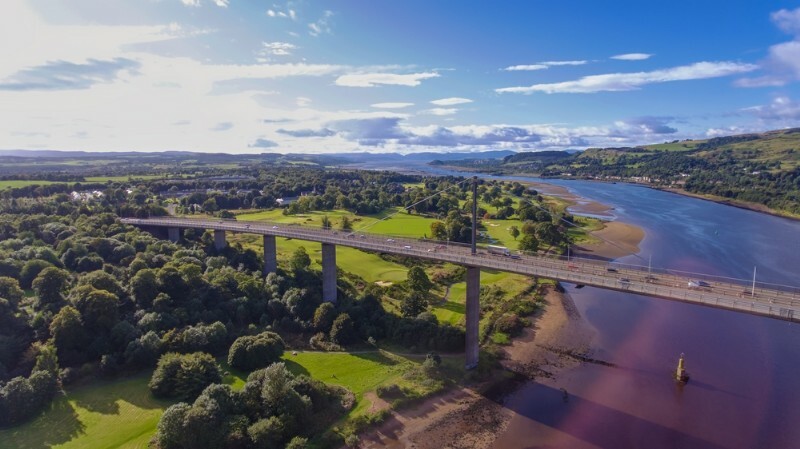 The data also showed that West Dunbartonshire has seen the greatest increase in average prices, which rose by 13.5% compared to last year and the greatest increase in total value, which increased by 21.7%. Clackmannanshire has seen the largest increase in sales volume, rising by 28.5% compared to last year. The city of Edinburgh has the overall highest average selling price at £266,646, followed by East Renfrewshire at £265,419. Glasgow overtook Edinburgh in terms of sales volume, with 3,349 residential properties sold in the west compared to 3,127 in the capital. For the same period last year, Edinburgh had the greatest sales volume. Both cities have seen a decrease in sales volumes compared to last year, but in Glasgow this decrease was very slight at 0.2%, and in Edinburgh, the decrease was more significant at 11.3%. Despite this, Edinburgh remained the top city in terms of total value of sales, with £833,800,867 worth of sales compared to £555,671,622 in Glasgow. However, for Edinburgh this was a decrease of 8.3% compared to the previous year. In Glasgow, this figure was up 4.7% compared to the same period in 2017. In the wider east central Scotland area, ROS data revealed a 5.8% decrease in the number of homes sold compared to 2017, with the most pronounced decrease in Edinburgh, followed by West Lothian, where the number of homes sold decreased by 10.7%. The decrease in sales volume in Edinburgh and east central Scotland is a reflection of fewer properties coming to market rather than a reflection of buyer demand. The strong demand for properties in the capital and lack of available stock has resulted in rising selling prices and homes frequently exceeding their Home Report valuation. However, in their November House Price Report, EPSC noted a 5.5% annual increase in the number of properties coming to market in Edinburgh and a 14.1% increase in the number of homes coming to market in east central Scotland, which is a positive sign for buyers. There was an increase in sales volumes in several other areas of Scotland. For example, from July to September, the ROS data shows that the number of homes sold in Angus and Dundee rose by 7.1%, while in the Scottish Borders there was a 5.3% increase in the number of homes sold and in west central Scotland, there was a 4.3% increase. Paul Hilton, Chairman of SPC Scotland, said: “It is positive to see average selling prices continuing to rise steadily in Scotland in comparison to last year as well as an increase in sales volumes in certain areas, as a shortage of stock has been limiting the market in recent years. “Sales volumes in east central Scotland and Edinburgh were still down from July to September compared to last year but reports of more homes coming to market in recent months will hopefully help to alleviate some of the supply issues the area is facing. However, more stock is still required to satisfy the demand for homes in this area.